One word summary for the book- Performance. If you’ve never read any Zig, then you probably haven’t ever been in Sales, in the South, or in any book Stores. 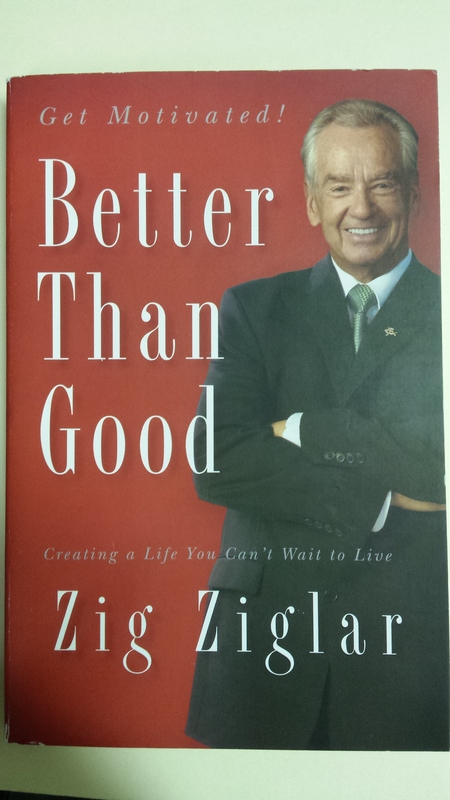 Zig’s been motivating and inspiring folks for about 60 years, and this book is more classic Zig. His Southern Charm and ability to teach while telling amusing anecdotes is his real emblem. Although for his real charm and entertainment, don’t forget to check out a few of his YouTube presentations. Yes, Optimists are full of Passion and Zig definitely walked his talk. We all allow our own inspirations to shine through us, and one of Zig’s inspiration was from reading Scripture. I’m not a religious person, and was able to skim over all his Bible referencing without it becoming too cumbersome. As Zig would probably have said- Why worry about the type of gravy on the potatoes, if the ham and chicken knock your socks off! To live your fullest life, increase the area that your Passion, Peak Performance and Purpose overlap. A smile is still the single most powerful force of influence you have. Many folks haven’t even hit their stride until they’ve lived forty years. In the achieving of your goals, it’s not what others believe you can do; it’s what you believe you can do. If you’re looking for more of his incredible sales approaches, read some of his earlier books (he’s got 170, I think! ), like See You at the Top, or Secrets to Closing the Sale that were focused on Sales Strategies. If you’re looking for an overview on how someone remained so Positive and Successful over 70 years, then this is the right book. I was lucky enough to attend one of Zig’s seminars, and the man was fun to learn from. One of the best, an American Icon for sure. But if you have to just read his material, pull up some Southern Iced Tea, a highlighter, and he’ll bring the smile and the put the wind in your hammock. This entry was posted in Book Reviews and tagged Better than Good, Personal Growth, Positivity, Sales, Zig Ziglar by MomentumMikey. Bookmark the permalink.